Ok, all fun aside for a moment, Dr David has created a masterpiece. This is a book you can read and apply the concepts to business, home, sports, children and any other aspect of your life. The book shows you how to get along with people better in a method that is easy to understand and easy to apply to your real life. David was also a featured speaker for the Motivation Marathon and is an expert on The Best Ever You Network. By working hard, making the most of what I have, being fortunate in the first place, finishing virtually everything I started, having great parents, great friends, and great teachers (still), finding a strong sense of purpose and sticking with it, having the courage to take risks, and stepping out of my comfort zone. No. I fired myself once after I had been in a job two weeks because I realized it was wrong for me and I was going to hate it. Helping other people be all they can be, getting people working well together, leading teams in a work situation or a leisure activity. If you won the lotto what would you do? Much the same really, but it would be a bit easier perhaps. I want to make a significant impact on the effectiveness with which people interact with each other because it can make a real difference to individuals, families, organizations, the world even. Write some more books. What do you like to do in your personal life? Spend time with my family, go sailing amongst the islands of the West Coast of Scotland, get out into the country, walk, spend time with close friends. I also like music, especially Scottish traditional music, and I am a piper, though I mainly play the smaller versions of the instrument these days. 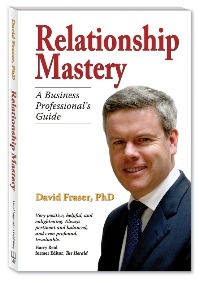 My first shameless plug is my book “Relationship Mastery: A Business Professional’s Guide”, and my second is just connecting with my work in some way at www.drdavidfraser.com. Rather than plug a specific charity or person, I’d like to ask us all to do that bit more to help and understand other people with special needs. I’m thinking particularly of children and adults with Autism but it could be anything like that. What do you do to help stay your best ever? I’m always learning, looking for the next thing I need to know, and at the same time trying to be authentic in everything I do - walking the talk, as much as I can. How do you help other people be their best? By supporting them and creating the context in which they can learn what they need to learn. What is your favorite book to recommend to someone else to read? I want to put a ding in the Universe around how well we relate to each other and ourselves. What would you say to someone starting out? Have the courage to find your own way. Believe in yourself. There are no limits on what you can achieve. If you had 15 seconds to something to everyone in the world, what you say? Make good use of the insights available to learn about yourself and other people because it makes a great deal of difference to how your life turns out. David Fraser, PhD, is a leading authority on relationship skills in professional and personal life and author of the well-regarded book “Relationship Mastery: A Business Professional’s Guide”. He is an international speaker with a senior professional background and deep insight into the human side of life gathered from a wealth of sources. David has a track record of pioneering new approaches. He has delivered major projects for government and private sector clients in challenging situations and set up a number of entrepreneurial ventures. He is a business owner, and a Chartered Engineer with a First Class Honours degree and a PhD from Glasgow University and an MBA from Strathclyde University. He is a qualified commercial mediator and a NLP (Neuro-Linguistic Programming) Trainer and has studied with leading proponents of these disciplines. 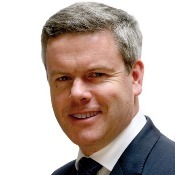 David applies his unusual blend of expertise to supporting disparate groups working together in complex circumstances. He also runs workshop and coaching programs on personal mastery and relationship skills for both organizations and individuals, focusing on the potential to leverage results. The effects are profound—quite simply life-changing for the individuals and their organisations. David also finds the approach set out in his book to be extremely helpful in the home and family environment. David lives with his wife and three children in Glasgow, Scotland and sails on the West Coast of Scotland when time permits. Elizabeth Hamilton-Guarino, the CEO and Founder of The Best Ever You Network has a knack for spotting the best. 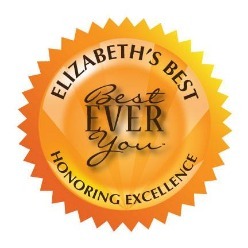 ​Since 2009, Elizabeth has issued The Best Ever You Seal of Excellence to books, websites, accomplishments, people, businesses, favorite clothes, shoes, jewelry and beauty products as well as home and garden products and food. 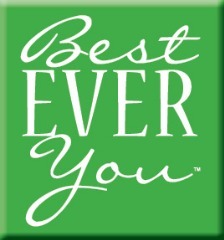 Visit Elizabeth's Best on The Best Ever You Network.